I'm still finishing up my wreath wall hangings. This time, I added two extra layers of batting to the wreath area before creating the normal quilt sandwich. I love the puffiness for the wreath that it created. 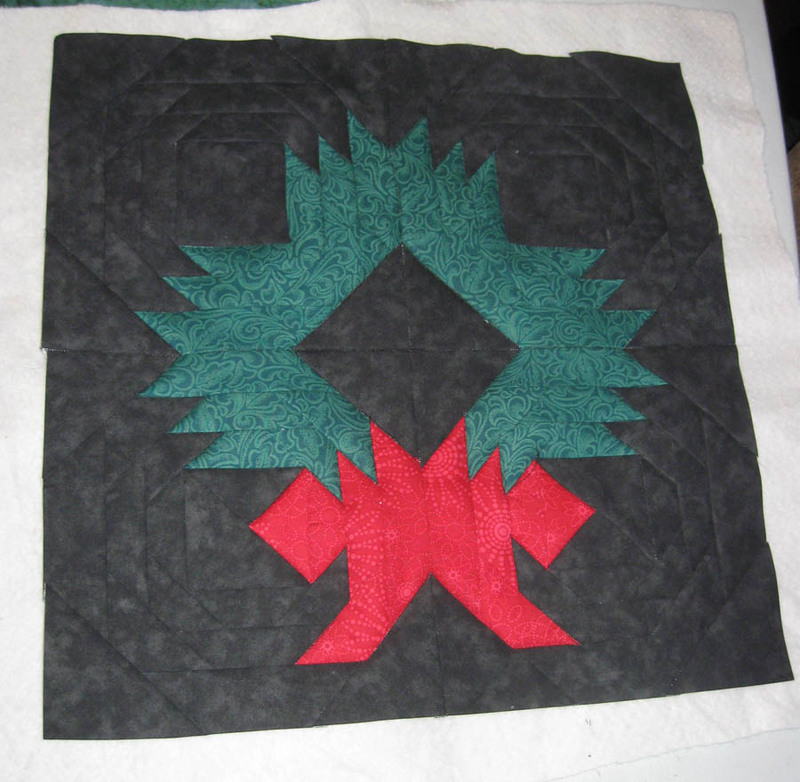 One more to quilt and then I'm off to bind all 3 of the wreath wall-hangings and then decorating! I would recommend adding some extra batting to a simple quilt to give it that 3D look. Here a photo but it does not do it justice.